A development of the earlier Hs 122 trainer and light reconnaissance aircraft of 1934, the Hs 126 provided the Germans with the bulk of their battlefield reconnaissance capability in World War II. It gained a new wing, cantilever main landing gear and a canopy over the pilot’s cockpit, which were fitted to an Hs 122 airframe to produce the Junkers Jumo 210-powered prototype that first flew in autumn 1936. This was followed by two development aircraft powered by a Bramo Fafnir 323A-1 and 10 Hs 126A-0 pre-production, some of which were evaluated by German forces fighting alongside the Nationalists in the Spanish Civil War. 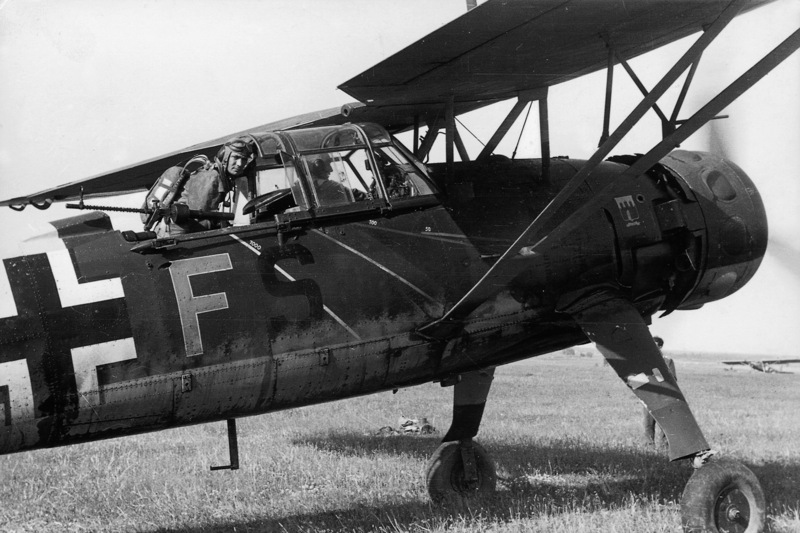 These aircraft paved the way for about 800 examples of the two production variants, the first of which entered service during 1938 with Aufklärungsgruppe 35. These models were the Hs 126A-1 with the 656kW (880hp) BMW 132Dc radial engine, and the Hs 126B-1 fitted with a different engine. The Hs 126 served in a front-line role through to 1942, when they began to be replaced by the Focke Wulf Fw 189, and were thereafter relegated to the glider-towing and night harassment roles, the latter with light bomb loads in regions such as the Baltic and Balkans. The Greek Air Force also received 16 examples of the type, which continued in service beyond the end of World War II.